Want to become an Au Pair? New Zealand has long had a reputation of being a friendly and welcoming nation. Its true! Living with a kiwi family means you can combine the opportunity to travel in a beautiful country while gaining experience in the childcare field and an English speaking country. Playschool Au Pairs works closely with a number of international partners bringing Au pairs to New Zealand from all over the world. Alternatively, if you are already in New Zealand or arriving independently of an agency we are able to assist you in finding a family FREE of charge. Playschool Au Pairs offers ongoing support to Au Pairs prior to arrival, during the settling in process and throughout the duration of your time in New Zealand. New Zealand families often have 2 or 3 children and live in stand-alone homes that have a yard for playing in. As a nation we are very sporty and spend a lot of time outside, often holidaying at the beach over summer. Both parents will often go to work while the Au Pair has sole charge care of the children who are not at Kindy or School. It is also common for the Au Pair to have use of a car during their stay as most cities and towns are spread across a large geographical area. Playschool Au Pairs has a dedicated team of qualified ECE teachers who will assist you in your role as an Au Pair in New Zealand for the duration of your stay. We will assist every Au Pair to settle into this new country and pave the way for a successful and fun relationship with the family they live with and the children they care for. Our Host Families are profiled and homes are assessed to ensure every Au Pair is happy and comfortable throughout their stay. 3 day all inclusive orientation programme. 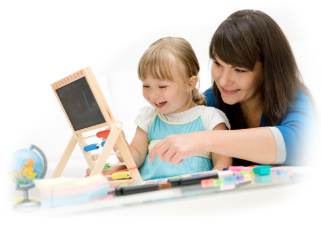 Monthly in-home visits from our qualified ECE teachers for support and advice. Free fortnightly outings around many parts of our country. Professional employment contracts, detailed job descriptions and journals. Free professional development courses including NZQA approved child first aid courses. Access to our national Au Pair database. Monthly activity packs delivered to your home. Phone support 24 hours every day, 7 days per week. FREE Rematching service should the placement not work including FREE emergency accommodation for up to 7 days. Have a valid driver’s license with an approved translation or an international drivers license. Non-drivers are also accepted. Be eligible for, and meet all the requirements for, the New Zealand Working Holiday Visa. Have childcare experience and references to support this. 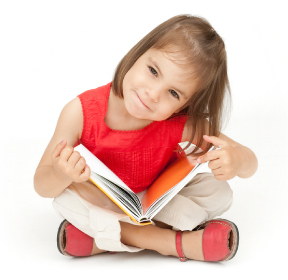 Be able to commit to 6-12 months of childcare documented in a placement agreement. Undergo a police check in both New Zealand and your country of origin. Au pairs in New Zealand work between 25 and 45 hours per week and most families will know how many hours they need their Au Pair to work before they arrive. In your role as an Au Pair, you can expect to care for and educate kiwi children either in a parents help role or sole charge. Your Au Pair duties will be specific to your Host Family and may include playing with and teaching the children, attending the children’s activities and classes with them, school and kindy drop off and collections, preparing snacks and meals, assisting with homework and other daily tasks.